← ♫ Laura’s radio guest: Creationist David Harrison – Bethlehem’s Star, Time Dilation and Greater Ancestor Theories & more! The creators of Zeitgeist, Peter Joseph and friends are Luciferian, support The Lucis Trust and they support them. Do a search like the one below to see him speak in videos about his NWO views and bear this in mind when evaluating The Zeitgeist Movement’s/Christ Mythers teachings! Then let’s ask, what are the real myths being promoted here? I was very honoured to be interviewed on The Kev Baker Show again! Below is the advert Kev Baker, the radio host, posted on Facebook. Find his Bio at the foot of this post. The Kev Baker Show is part of Truth Frequency Radio. The very popular TFR network is widely known as an alternative media platform. Laura Maxwell exposes The Luciferian Zeitgeist Deception: DID JESUS CHRIST COPY PREVIOUS SAVIORS AND MYSTERY RELIGIONS? A Spiritual Quest Continues… with very special guest Laura Maxwell LIVE on The Kev Baker Show. Tonight we welcome back one of the listeners’ favourite guests in the brilliant Laura Maxwell! Tonight, Laura will take us through some of the disinfo that surrounds the Christmas festivities, the various religious stories that centre around Christmas as well Luciferianism and so much more along the way. Laura is a wealth of information and just such a great person, and this is a combination that resonates with the hosts and the listeners alike, so please tune in to what promises to be yet another EPIC show! Laura Maxwell rejoins the show and blows a hole in the Zeitgeist movies story about the many stories sharing similarities with that of the Jesus story. Laura gets into various “saviours” and offers the historic evidence that makes her case a very strong one. The show was actually broadcast this time last December. I’m reposting for new blog readers that have joined us in the last 12 months! If interested, please see below – an interview I did on Revelation TV. In it, we discussed some of these issues. You may want to take the challenge of proving Jesus Christ is not a true historical figure! I mentioned the challenge in Kev’s show! For more details, please see my various blog posts on Zeitgeist, including The Zeitgeist Challenge itself: Zeitgeist. There are many similar videos online, please look them up! About Kev Baker, Glasgow, Scotland. ‘Kevin Baker has set his mark as a professional broadcaster by featuring cutting edge analysis, current events and breaking news. 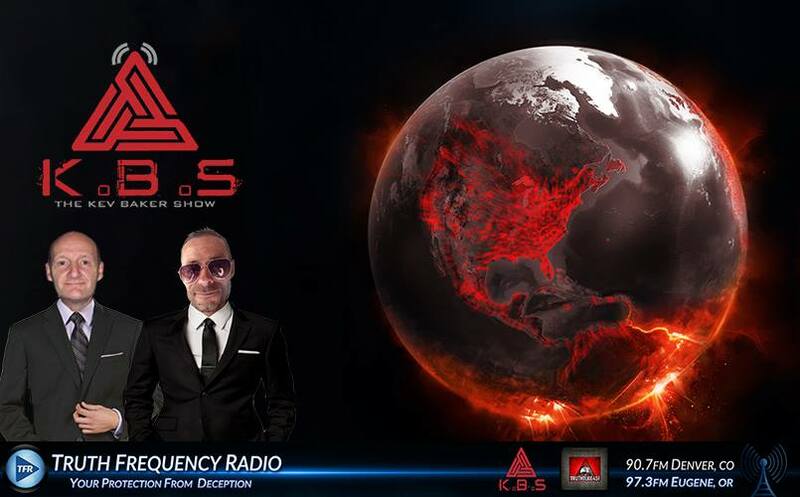 The Kev Baker Show is part of the TFR network – Truth Frequency Radio. Laura is not paid for writing in books, magazines or appearing on TV, radio or at events. All of her ministry work is of a voluntary nature. Click on below link to see some of my TV interviews. This entry was posted in Apologetics, Apostasy, Ascended Masters, Bilderberg Group, Challenge & Test The Spirits!, Conspiracy Theorists, Dead People, Elite, Gnosticism, Illuminati, Karma, Last Days, Luciferianism, New Age Luciferianism, New World Order, Occult, Paganism, Paranormal, Radio Programs, Reincarnation, Salvation, Satanism, Secret Societies, Spiritual Hierarchy, Spiritual Warfare, Spiritualism, Supernatural, The New Age, The Truth Movement, Tribulation, Truth Seeker, Whistleblowers, Witchcraft, Zeitgeist and tagged Kev Baker Show, Kevin Baker, Luciferian Initiation, Luciferian Invocation, Luciferians, Medium, Psychic, Spiritualism, TFR, The Lucis Trust, Truth, Truth Frequency Radio, Zeitgeist, Zeitgeist Debunked. Bookmark the permalink.